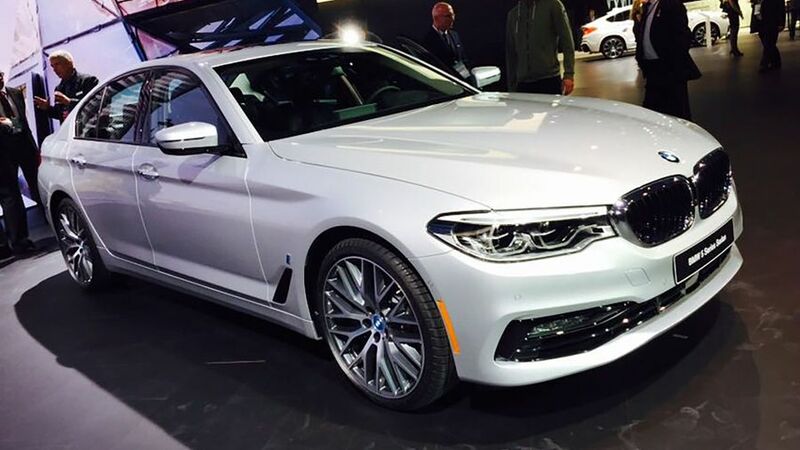 The hybrid version of BMW’s new 5 Series will go on sale this month. With a combination of its petrol engine and electric motor, it is expected to average getting on for 150mpg and emit less than 50g/km of CO2. 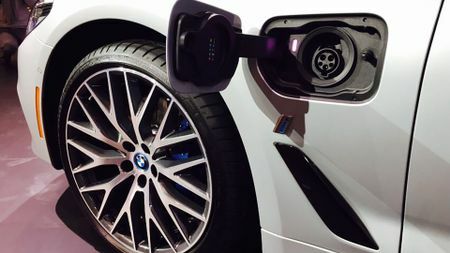 It has appeared on BMW's stand at the Detroit Auto Show. 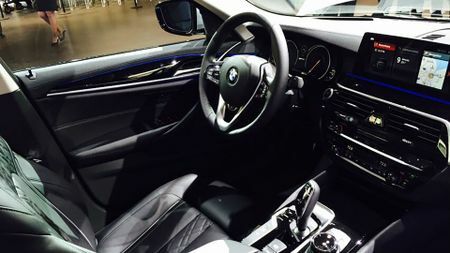 It’s the latest hybrid model from the company, and follows hybrid versions of the X5, 2 Series, 3 Series and 7 Series. Called the 530e, the plug-in hybrid version of the recently announced new 5 Series is powered by both a four-cylinder 2.0-litre petrol engine and an electric motor. Together, they have a combined power output of almost 250bhp, giving a 0-62mph time of 6.2 seconds and expected average economy of 141.2mpg. On electric power alone, with zero tailpipe emissions, the car can drive up to 29 miles, and at speeds of up to 87mph. Charging the battery from flat takes less than five hours using a regular domestic socket, or two hours fewer when using a BMW wallbox. Like all 5 Series models, the 530e offers a choice between Sport, Comfort and Eco Pro driving modes, but where it differs is in also having an eDrive button. This allows drivers to also adjust the mode of operation of the hybrid system, choosing between 'Auto eDrive', 'Max eDrive' and 'Battery Control' settings. Auto eDrive is the standard setting, whereas Max eDrive uses electric power alone (until the driver demands too much from it), and Battery Control allows the driver to ensure that the available battery power never drops below a preset amount. 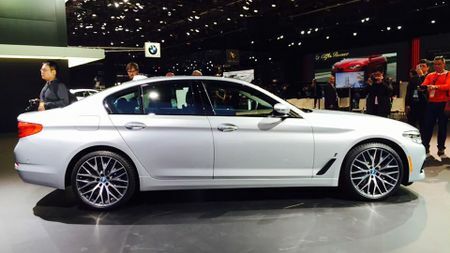 The 530e – which rivals the likes of the Audi A6, Mercedes E-Class and Lexus GSs – stands out from other models in the 5 Series range thanks to blue details on the grille and wheel hub covers, the charging socket behind the driver’s side front wheel, and eDrive badges on the rearmost pillars. Inside, meanwhile, it’s all very much familiar 5 Series fare, and the only differences are a few displays and instruments that are unique to the hybrid model. The 530e also comes with the same driver-assistance, safety and infotainment systems as the rest of the 5 Series range, and is available to order from the middle of January. Prices start at £43,985 and first deliveries are expected in March.